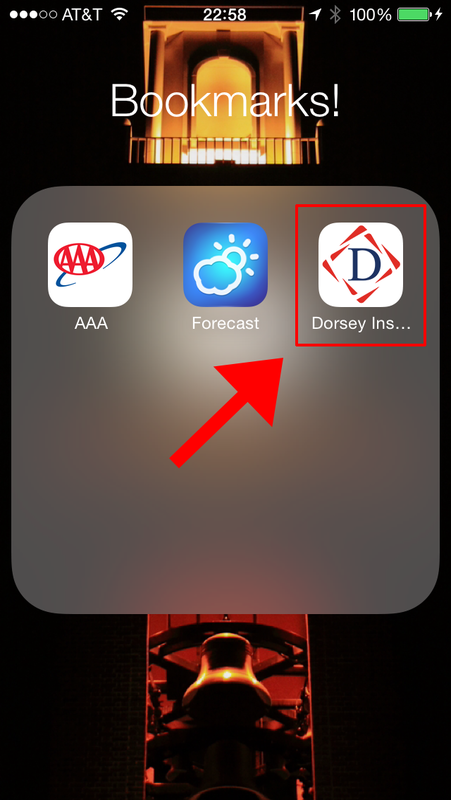 Tip: Add DorseyIns.com to your iOS Homescreen! As we continue the roll out of our new website I came across this neat iOS trick I thought I'd share! 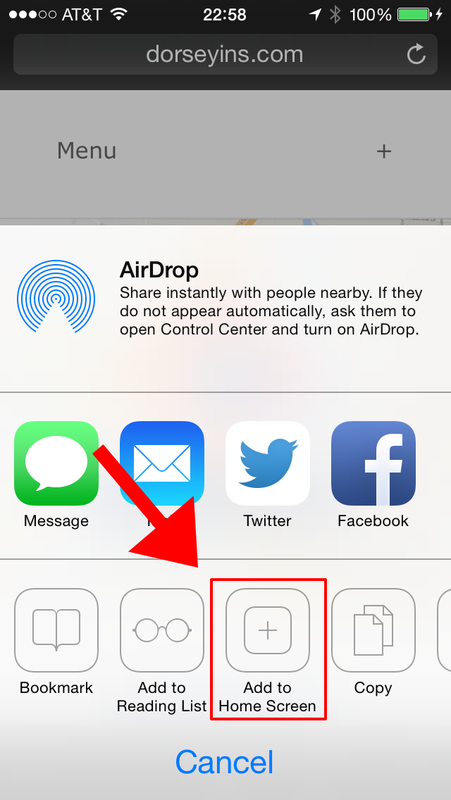 In iOS's Safari web browser, there's an option nested inside the "Share To:" menu, "Add to Home Screen." If the website developer has indicated icon files, iOS will then take the icon and place it on your home screen along with your other apps. That's it! Now you've got DorseyIns.com bookmarked you can put it inside your "Car" or "Insurance" folder. Paired with DorseyIns.com's new mobile layout, this is a great way to quickly and easily get in touch with your Dorsey Agent OR look up the payment and claims information for your insurance provider! Our mobile-first design ties in every phone number, email and address click-able so you can get connected with someone that can help you! Do you have a useful Tip or Trick? Leave a comment below and let us know! Posted on August 28, 2014 by andrej stefanovski and filed under Tips & Tricks and tagged iOS iPhone iPad Bookmark.